Sure, your regular hands let you do nuanced things like type and point, but wouldn't you be more awesome with this set of 2 Giant Lobster Claws? 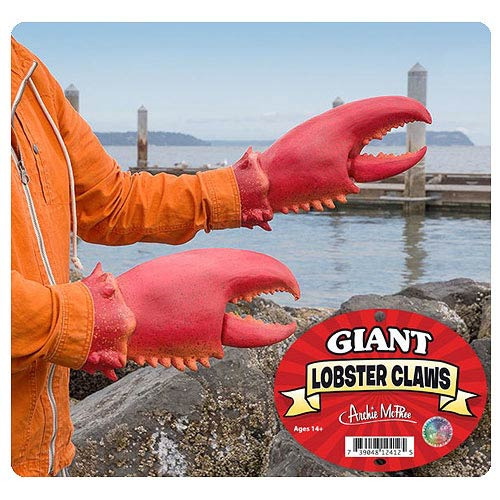 These 14 1/2-inch long latext clawes slip on over your hands like gloves and instantly make you more lobstery. You can even sort of pick stuff up when you move the pinchers! The Giant Lobster Claws 2-Pack fits most adult hands.